Eco friends bags are getting more an more popular nowadays in Singapore. 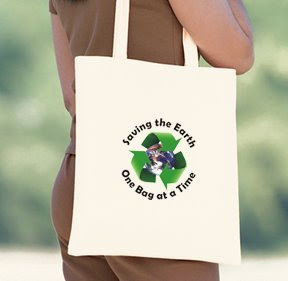 Many big or small companies are printing their own custom non woven bags to help save the Earth as well as maximize their advertising dollar. The genuine history of these kinds of bags actually starts in 1977 when the disposable plastic bags began being put to use around the world, starting in the US. In spite of the fact that the disposable bags had been originally considered as the good replacement for totes made of paper, to save trees, it didn't take long for consumers to recognize that the bags create pollution in lakes, rivers, and oceans. By the early 1990s, reusable bag manufacturers were establishing businesses around the world. At first, these shopping bags were taking various forms and being made from materials all the way from cotton to nylon. In the mid 1990s, though, the material identified as polypropylene began acquiring the lead. Such bags, known as PP woven grocery bags, are precisely what are used in many contemporary retail chains. The original bag manufacturing type using this material was non woven PP shopping bags, although woven PP carry bags are being used today as well. The reason this particular material took the lead in the reusable bags manufacturing marketplace is that it was cheap. There are a number of good reasons why this material is becoming more popular for the production of carrier bags and here are just a few of them. *Bags made from this material are easy to dye and are therefore available in a wide choice of colours. The relatively large print areas offered by promotional polypropylene bags are suitable for a variety of printing methods with which to promote your business. *These bags are much easier to recycle than conventional plastic bags and for this reason make a more sensible choice for anyone with a concern for the environment. *A large proportion of the polypropylene used in the manufacture of carrier bags is derived from recycled material making it even more eco-friendly. *In addition to shopping bags a variety of other products are available such as Expo Bags, Document Bags, Meeting Bags, Drawstring Bags, Shoe Bags and Suit Covers. What is good about this new plastic? A highly recyclable plastic, non woven polypropylene is accepted by recycling plants and centers wherein they can easily break it down to create other useful things. It is strong and durable enough to be used as a daily shopping bag. It is very cheap to manufacture, and thus can be mass produced to completely replace the usual plastics we see in the supermarkets. It is very soft that it is even used as a surgical mask. It is lightweight which makes it ideal for other purposes. Do your part and bring your own shopping bags when you go shopping in Singapore. Everyone plays a part and remember, we only have one Home.